GearJunkie and the YogaSlackers have a long history, teaming up for adventure races, sprinting across glaciers, climbing mountains and testing equipment. 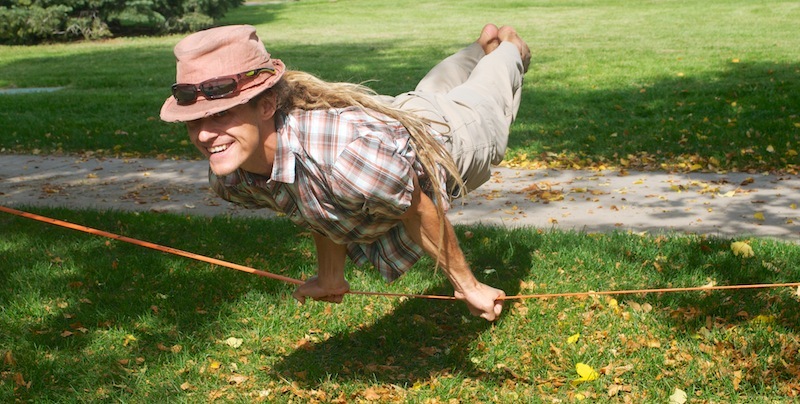 So when we heard the news that our athletic yogi teammates had developed an easy-to-setup slackline kit, we were all ears. 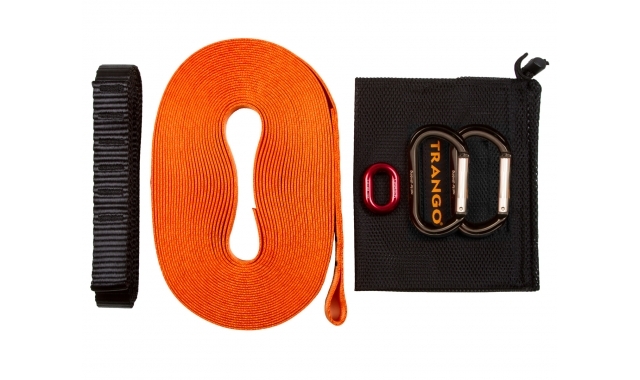 Produced in partnership with climbing company Trango, the kit is different from other lines on the market because it does not have any moving parts or ratchets, instead relying upon friction to create tension. It is also made from low-stretch line and is designed for balance-oriented movements, core workouts and yoga instead of the bouncing acrobatics of lines like Gibbon. Salwei quickly found two trees of the appropriate distance (about 20 feet) and size (bear-huggable with plenty of room to spare) and proceeded to set up the line. I was impressed with the simplicity with which the line assembled. With no moving pieces, the line uses friction devices for easy tension adjustment. Within minutes, the line was strung and it was time for instruction. I learned a lot from the experience and admired the skill with which Salwei moved slowly on the line. If you have the chance for a lesson from great instructors like these, take it. I am still a fledgling slack-liner but have had my eyes opened to what is possible with practice and look forward to learning more. The eLine system makes it easy to get started. 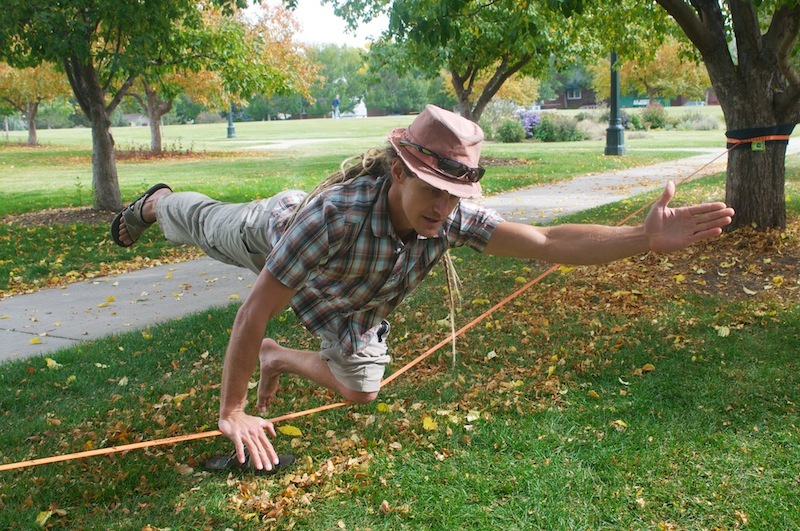 It is a low-stretch slackline that sets up with a closed loop system. Once attached to trees or other anchors it takes a pull with one hand to tension, no ratchet needed. The video below shows the setup. The kit includes two oval key lock carabiners, one line lock, a two-meter anchor, a 15-meter line, a mesh storage bag, and instructions. I found the system pretty simple to set up and the instructions are helpful. I won’t go in depth about the lesson. Slacklining definitely takes practice to do well and I’m a beginner, but within a half-hour I had progressed from kneeling to sitting and finally standing (briefly) on the line. It’s currently zero degrees in Denver, but I look forward to stringing the line up soon and working on my skills on a sunny day. Check out page two for more photos of the new line and Salwei’s skillful yoga slacking.